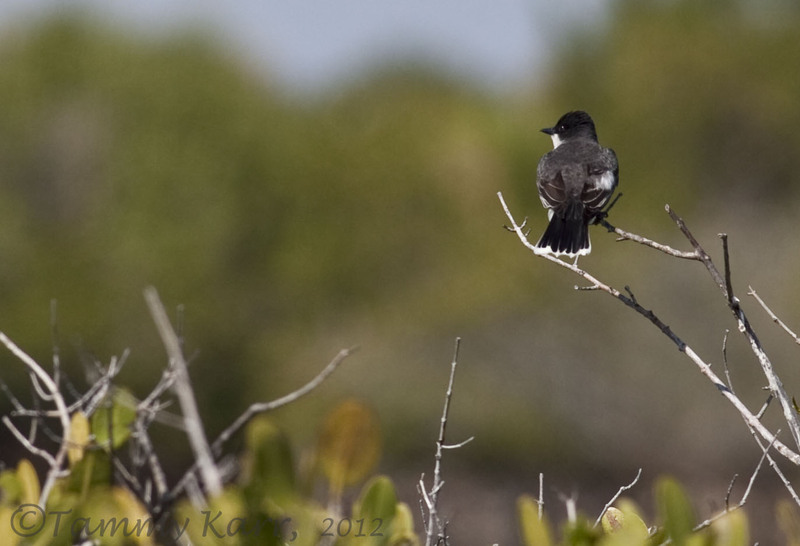 We made it out to several of our local birding patches this past week. We started the week with a visit to the Moccasin Island Tract area. The drive out to the tract often times offers opportunities to view numerous species in action. Today, however, we only observed numerous Cattle Egrets as they mingled with the cattle. Eastern Meadowlarks were the highlight of our stroll along the trail. The Meadowlarks perch on fence posts that runs along the trail, singing to one another. Our next stop was at the "Click" Ponds, which are location at the entrance to the tract. 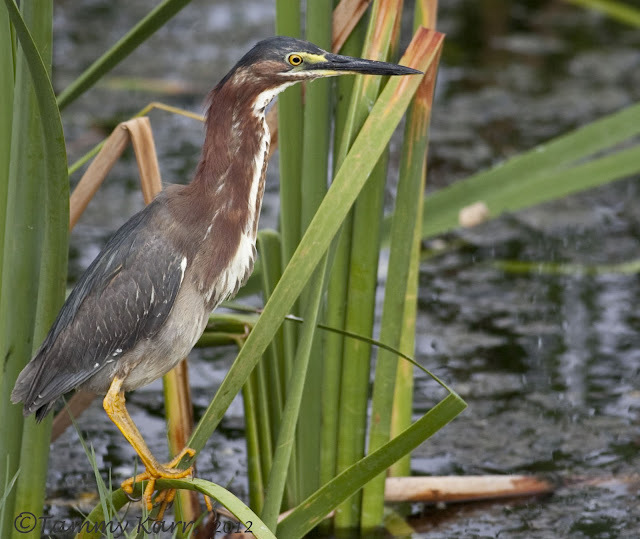 The ponds continue to be occupied by several varieties of herons and egrets. 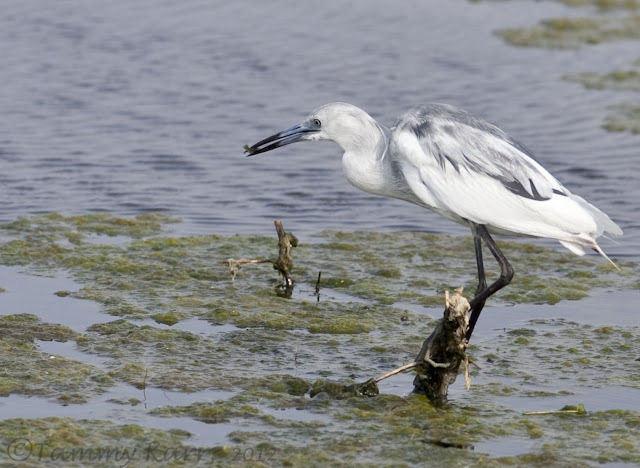 The Little Blue Herons continue to molt into their permanent blue plumage. The Green Heron and a Snowy Egret took turns chasing one another from this desired perch. It was a rather unpleasant exchange between these two birds and the Snowy Egret seemed to have the upper hand. 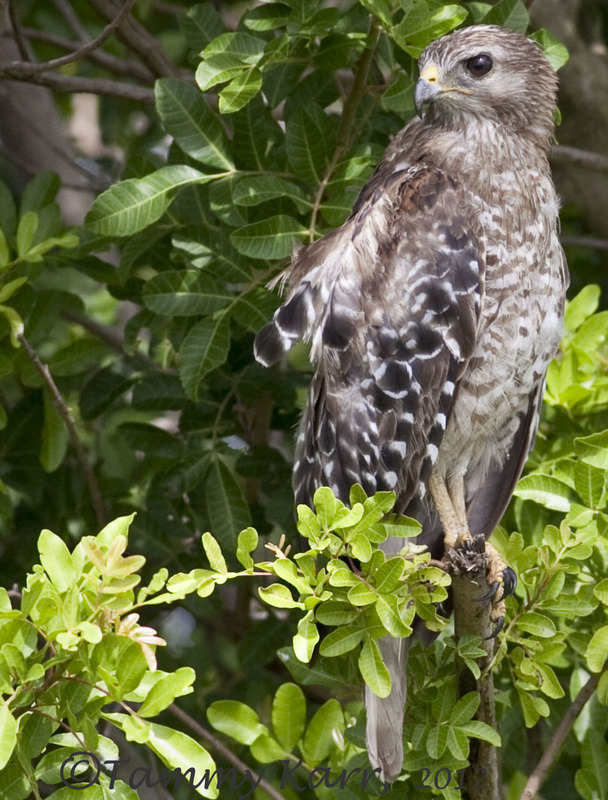 It's always a good idea to scan the bushes, because you never know who my be lurking, like this Red-shouldered Hawk! 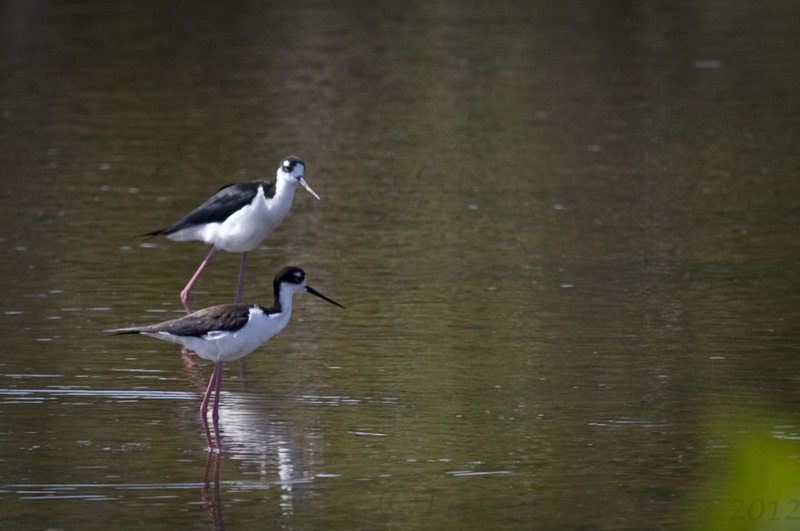 and this foraging pair of Black-necked Stilts. St. Sebastian Preserve State Park was also on this week's agenda. I blogged about my birding adventure at the park on my monthly post at Birding is Fun!. Have a great weekend! All very nice shots but I really like the hawk photo. Have a good weekend Tammy! Looks like a great stroll! Love the Eastern Meadowlark. Haven't been able to find one here in Pennsylvania yet. such great shots! really enjoyed the herons, and that meadowlark! That hawk is stunning, really nice set of photos. Great to be back and discover what you have done these last days! The Red-shouldered Hawk is such a fantastic catch but so are all the others, including the Green Heron with its crest up!! 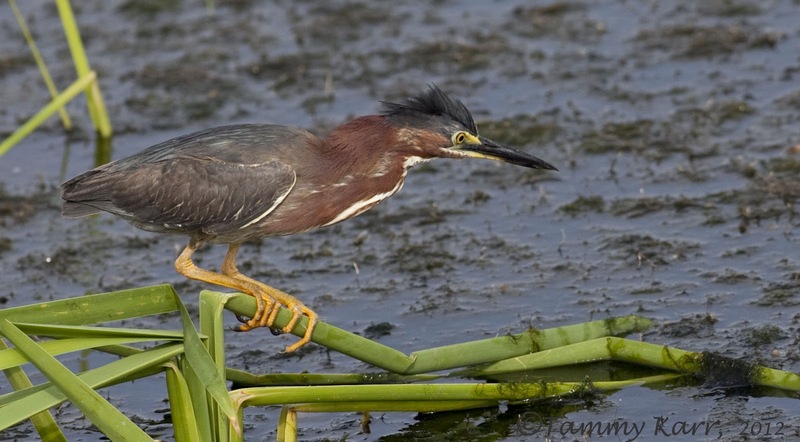 Awe, it must have been a beautiful day, and the birds, all of them are brilliant state, but, my fave is the Green Heron. 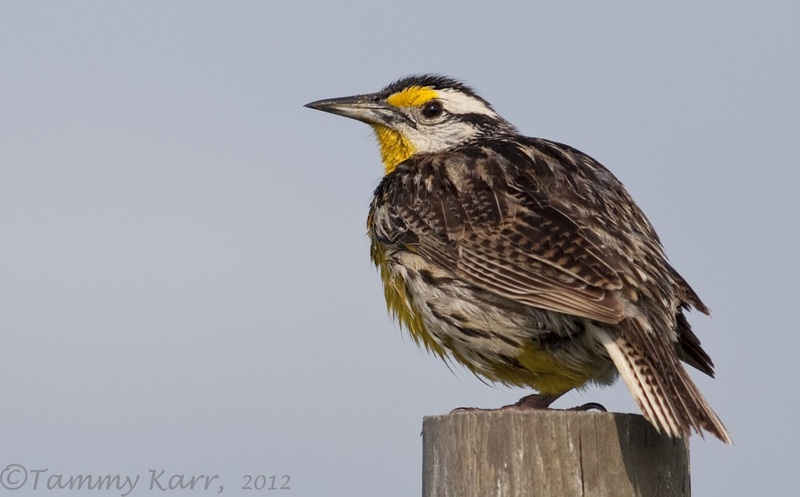 Tammy every image is a masterpiece,top prize goes to the Eastern Meadowlark. Great collection of birds! I'm a sucker for those Little Blue Herons though- def my favorite shot! Lovely serie as allways, but i like the little Blue Heron moste. Beautiful pictures of the birds. You are still very active with the camera ..The Eastern Meadowlark was a very colourful and beautiful bird, never seen this, a typical american specie ? The hawk was beautiful too, I love birds of prey you know, have a nice photo-weekend. Lovely images Tammy..they are beautiful. Hola Tammy otra sensacional serie de aves,envidio el lugar donde vives por la gran variedad de aves que hay.Un fuerte abrazo. Wow, I love both of the herons! Gorgeous photos! I do love the raptors, though, so the hawk is right up there, too. Nice catch light in the lark! Bellas secuencias de unas bellas aves.